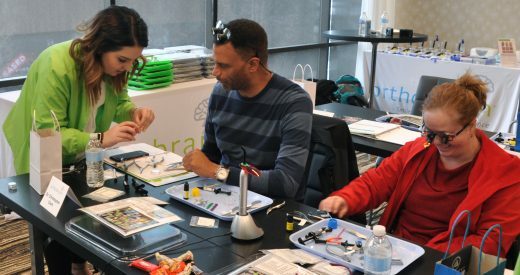 Our lead orthodontic specialist and chairside dental technicians will provide your team with on-demand education and concierge support from start to finish so you can confidently provide orthodontics following our two-day hands-on seminar. 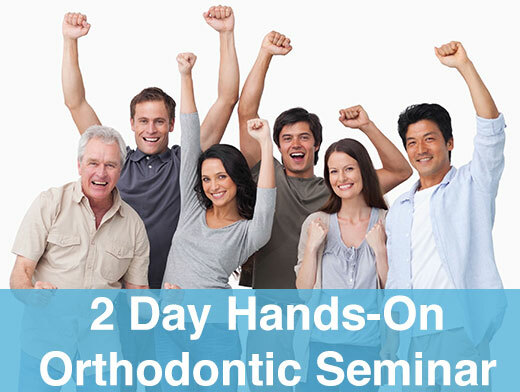 Our seminar prepares Dental Teams of all experience levels to provide excellent orthodontic care. Training combines classroom teaching of diagnosing, treatment planning, and case selection with hands-on clinical training for Dentists and Chairside Dental Technicians. $200 for each additional staff member. Certificates of 15 hours of education will be earned. LIMITED SPOTS AVAILABLE- RSVP TODAY. Are you an Academy of General Dentistry member? What is your AGD Member number? Who else is attending this seminar? MM 1 2 3 4 5 6 7 8 9 10 11 12 This field is required. Card Code * This field is required. Course Cancellation Policy: Cancellations received two weeks prior to the course beginning will receive a refund minus $450. The $450 credit can be applied to a future course within one year. On rare occasions, air traffic delays or poor weather could affect the start time or force us to cancel the seminar. In this case, tuition can be applied to a future course or be returned in full. Transfer Policy: Transfer course date/ location up until two weeks prior to the first day of the course. No transfers will be accepted lass than two weeks prior to the start of a course. 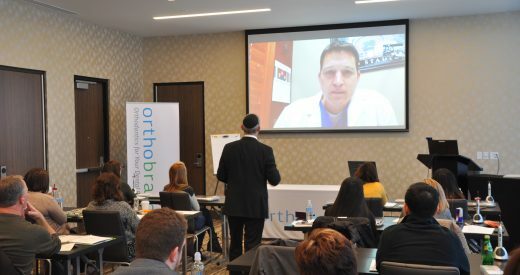 orthobrain® is a secure, digital orthodontic advisory system that makes it easy for you to start caring for orthodontic patients. 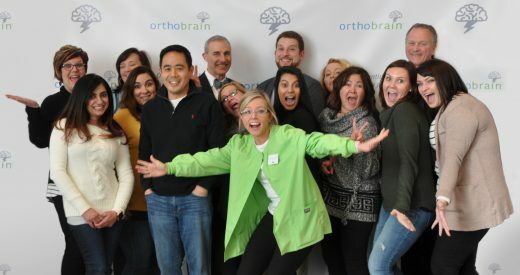 orthobrain® consulting dentists are all expert, USA-trained-and-certified orthodontic specialists. Copyright © 2019 orthobrain®. All rights reserved. All users of this website are subject to the Agreement for Use of orthobrain® Website. Those requesting professional services are further subject to Independent Contractor Agreement for Health Care Providers.